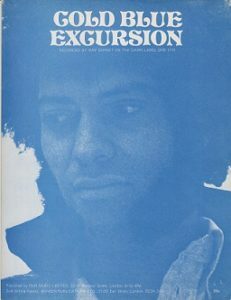 Ray Dorset’s one and only solo album, Cold Blue Excursion, was recorded before the break-up of the Mungo Jerry band in 1972 and released at around the same time of the split. Simply put, a truly brilliant album that doesn’t sound dated today, with every track a gem. Tracks: Got To Be Free, Cold Blue Excursion, With Me, Have Pity On Me, Time Is Now, Livin’ Ain’t Easy/Help Your Friends, I Need It, Because I Want You, Nighttime, Maybe That’s The Way, Always On My Mind. “The album was recorded at Pye Studios and produced by Barry Murray. After recording the basic backing tracks, where I put down a guide vocal and acoustic guitar with the rhythm section. “I worked out the musical arrangements for the strings and brass with John Fiddy in one of the Pye offices and he added some of his own ideas. “The recording began in late ’71 and completed in early ’72. “Some of the songs were written for the album and some had been around for some time, e.g., Cold Blue Excursion. “I would have liked to have done more work on the album as some of the tracks, including the title were mastered using my guide vocals as I was not around at the time. “The album got mixed reviews but I remember John Peel liking ‘Cold Blue Excursion’. Derek Wadeson – Mungo Jerry Fan Club Secretary 1983-93. “Strangely enough, Boot Power and Ray’s solo album, Cold Blue Excursion are my two favourite Mungo Jerry albums on Dawn. “Obviously I love them all, but these two stand out for me. “Many a long nights drive was improved immensely in recent years by these two pounding away full blast on the in-car CD player. “They both showed what Ray Dorset is capable of without the constraints of the tags labelled to Mungo Jerry”. 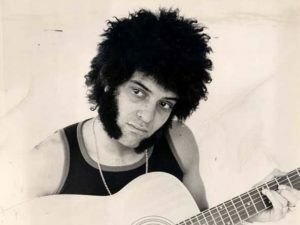 The voice from Mungo Jerry has obviously set out to prove himself as a songwriter and an individual performer. On both counts, he gets full marks for versatility! Ray not only sings, he plays 6 and 12 string acoustic and electric guitars, and it all sounds great against full orchestral backing and added vocals. Title track is also Ray’s current single, and his fans will be happy with set of twelve new Dorset compositions. Paul King and Ray Dorset, makers of Mungo Jerry’s material, have both recorded solo albums in recent months, and here we have Ray’s offering. No sleeve credits for the horn section that launches off the opening track, but we do know that assisting Ray Dorset are Mike McNaught, Dave Markee, Mike Travis, Sue and Sunny, Joe Rush, John Godfrey and Colin Earl. We also know that there is another dimension to the artist besides his obvious Leadbelly and Woody Guthrie inspired compositions, although Dorset has used a few paragraphs from Guthrie’s ‘Born To Win’ to preface the album. Cold Blue Excursion Inner sleeve. All in all it’s a very listenable album as Ray shows that he is not lacking in soul. But, at the same time he gives Mungo buffs a treat with Have Pity On Me. The overall feel of the album is vital and persuasive. This is a beautifully varied and entertaining first solo album from leader and lead singer, Ray of Mungo Jerry. Songs range from the rocking opening number with lovely brass and backing vocals from Sue and Sunny; to sad little acoustic songs like With Me, to the rumbustious Mungo ‘pub’ songs. Ray is undoubtedly a fine and talented songwriter, the album is beautifully produced, clear and orderly. Inside every lead singer is a soloist struggling to get out. 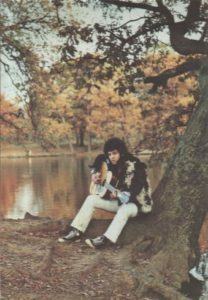 Ray Dorset has at last achieved his ambition and, having completed this solo LP, will doubtless re immerse himself in Mungo Jerry happy at having got it out of his system. Mind you, I have nothing but praise for Ray’s efforts on this disc. He has set out to cover as wide a range as possible and has written 12 songs which give full rein to his versatility. Maybe he finds the rock’n skiffle, jug-and-bottle approach of Mungo too restrictive? In any event, he’s sure gone to town here, for no two tracks are alike. I won’t burden you with a list of titles because being all new songs they will be meaningless to you. But put this album on the turntable and, before you know it, you will slip from a blues into a country ditty then into a country ditty, then on to an enchanting folk-flavoured air. You’ll find an out-and-out rocker, a touch of trad jazz, a sing-a-long and some pure straight-forward pop. Plus, a slight hangover from Ray’s association from Mungo. Punctuated by the unmissable harmonies from Sue and Sunny and brilliant orchestral scorings – for which Ray was partly responsible. A remarkably varied collection – if anything a little too stark in its contrasts – which provides ample scope for Ray’s many, and hitherto unsuspected talents”. 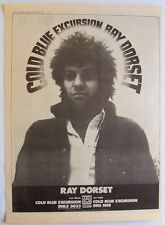 Most people know Ray Dorset as Mungo Jerry’s man up front singing his heart out, exhorting the crowd, stamping his feet and giving everybody a good time. Ray’s songs are also a hallmark of Mungo Jerry. All the group’s hit singles and many of their album numbers are his compositions. He’s a prolific composer and there’s seldom a day when he hasn’t a tune or a lyric floating around in his head. Naturally enough, not everything he produces is suitable for Mungo’s jug band style, as you can hear if you play his new Dawn label album, Cold Blue Excursion. The songs on this LP are all very personal to him, written over the last couple of years and kept for the day that he could give them the individual attention they deserved. On some tracks, Ray has used an orchestra. Others are, essentially simple, but the album should appeal to a wide range of listeners. If you’re expecting a Mungo offshoot, forget it – Ray has stepped out into areas of personal interest in a varied selection of categories. Frequented by odd instruments and weird rhythm alterations, the songs are strangely melodic and glossed by Ray’s unique blues voice. Acoustic guitar provides the basis of most of the songs. Standouts are the near 20’s rock, Have Pity On Me, which fairly skips along. Time Is Now, perhaps the heaviest number with its full brass and Maybe That’s The Way, which features a nice piano and a good flute lead. This is obviously an experiment and largely a success, marred only by the occasional song where his voice is not brought forward naturally. Produced by Ray and Louise’s boyfriend Barry Murray. 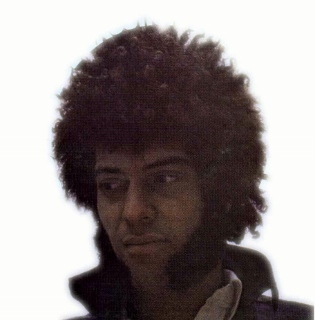 Ray Dorset steps from the line-up of Mungo Jerry to take the solo limelight with his own album. A prolific writer and an imaginative one, Ray has reserved the songs on this album until he could give them the care and attention they deserve. It’s an album that should appeal to a wide taste, including as it does rock music and emotional music but all very personal to Ray Dorset. 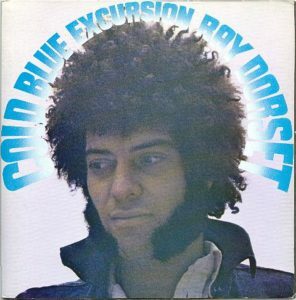 “I have just bought Ray Dorset’s excellent solo album, Cold Blue Excursion. “Indeed, I didn’t think Dorset’s songwriting capabilities extended beyond the Mungo Jerry type of music. But the variation and scope of the dozen tracks certainly proved me wrong. 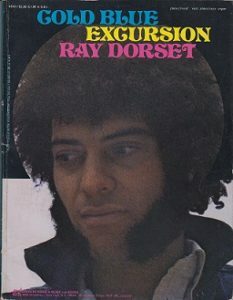 “I felt I must write to express my agreement with David Owens recent letter in Disc, regarding Ray Dorset’s solo album. “Ray’s album is terrific and that as a writer he is very under-estimated.